Lemon is widely used in everyday life, but not everyone knows all its uses. It is one of the most common kitchen ingredients, used both in cooking as well as beauty regimens. Lemon belongs to the group of citrus fruits, along with orange, mandarin, green lemon, citron, and besides being rich in vitamin C, it contains B vitamins, calcium, iron, magnesium, phosphorus, etc. Lemon is great for your health because it can improve digestion, balance pH levels, fight body odor, boost the immune system, fight infections, control high blood pressure and more. However, your skin and hair love lemon even more. The juice of a lemon is one of the most valuable ingredients when it comes to skin-related issues. Its antioxidant, antibacterial, antifungal and astringent properties help improve the appearance and condition of your hair, skin, and nails. This is one of the main reasons why it is often part of a variety of masks, creams, peelings, and lotions. If you still have a hesitation about the power of this fruit, carefully read the list below composed of 7 useful and proven ways to use lemon. We all want a radiant and flawless skin, free of wrinkles, fine lines, dark spots and uneven tone. Lemon is one ingredient that can help rejuvenate your skin and make it look beautiful and young. It contains vitamin C, which boosts collagen production, thus restores skin elasticity to help maintain a smooth and youthful appearance. Plus, it protects against free-radical damage. 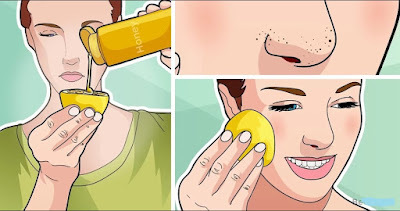 Using a cotton ball, apply the lemon juice to your face, neck, hands, and legs. Leave it on for 10 minutes, then rinse it off with lukewarm water. Do this once or twice a week. Alternatively, put some honey on a piece of lemon and rub it gently on your face, neck, hands, and legs. Leave it on for 10 minutes, then rinse it off with lukewarm water. Do this once or twice a week. Also, drink a glass of lemon water twice daily to keep your skin beautiful from within. Lemon contains ascorbic acid, which is a natural astringent that helps treat acne quickly. Plus, vitamin C in lemon helps the growth of healthy skin as well as reduces the appearance of acne scars and spots. It also contains antibacterial properties that can kill the bacteria responsible for acne. Simply rub a slice of lemon across the affected area. Wait 5 minutes before rinsing it off with cold water. Repeat twice daily until the acne is gone. Also, drink a glass of lemon water daily to protect your skin from free-radical damage and maintain a good pH level. When it comes to treating stretch marks at home, lemon is a good option to consider. Its mild acidic property aids the skin in removing dead skin cells and developing new skin cells. In addition, the vitamin C in it is highly effective for promoting healthy skin. Gently rub a slice of lemon on the stretch marks in circular motions for 5 minutes. Allow the juice to dry, then rinse it off with warm water. Repeat 1 or 2 times daily. If you want a shiny, sparkling white smile, lemon is your solution thanks to its bleaching property, which helps whiten yellow teeth. Just rub a fresh lemon peel all over your teeth. Wait for a couple of minutes, then rinse your mouth with warm water. Do this once daily. Additionally, you can prepare a mixture with 1/4 teaspoon of baking soda and enough lemon juice to make a thin paste. Apply it on the stained teeth and gently rub it around. 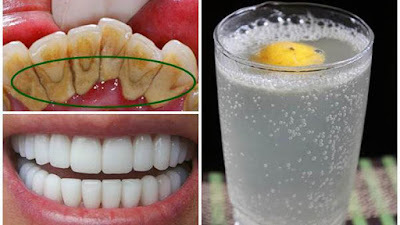 Wait for 1 minute, then rinse your mouth thoroughly with warm water. 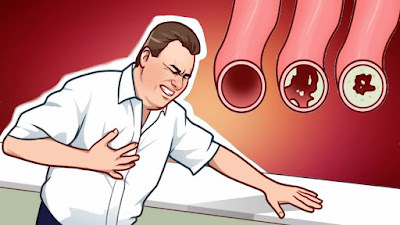 Repeat this treatment once daily for a week. Dark lips can occur due to excessive exposure to direct sunlight or use of low-quality cosmetics and high caffeine intake. The natural bleaching property of lemon helps lighten dark lips and restore your lips natural pink shade. Squeeze the juice from 1/4 lemon and gently rub it on your lips before going to bed. Follow this simple remedy daily for a couple of months. One common beauty problem during the winter months is chapped lips. You can treat this problem with lemon. Lemon helps exfoliate dead skin cells from your lips to make them soft and beautiful. Gently rub the inner part of a lemon slice on your lips. Rinse it off with warm water, pat dry and apply some coconut oil. Repeat once daily. Lemon juice helps balance the pH of your scalp and reduces excess oil secretion – two major contributing factors in dandruff. Additionally, its antifungal and antibacterial action helps fight scalp infections. Mix the juice of 2 lemons in 1 cup of water. After shampooing, rinse your hair with this diluted solution. Wait 5 minutes, then rinse your hair with plain water. Use this remedy once or twice a week.